Beja ([ˈbɛʒɐ]) is a city and a municipality in the Alentejo region, Portugal. The population in 2011 was 35,854, in an area of 1146.44 km². The city proper had a population of 21,658 in 2001. The municipality is the capital of the Beja District. The present Mayor is João Rocha, elected by the Portuguese Communist Party with an absolute majority in the 2009 Portuguese Legislative elections. The municipal holiday is Ascension Day. The Portuguese Air Force has an airbase in the area – the Air Base No. 11. 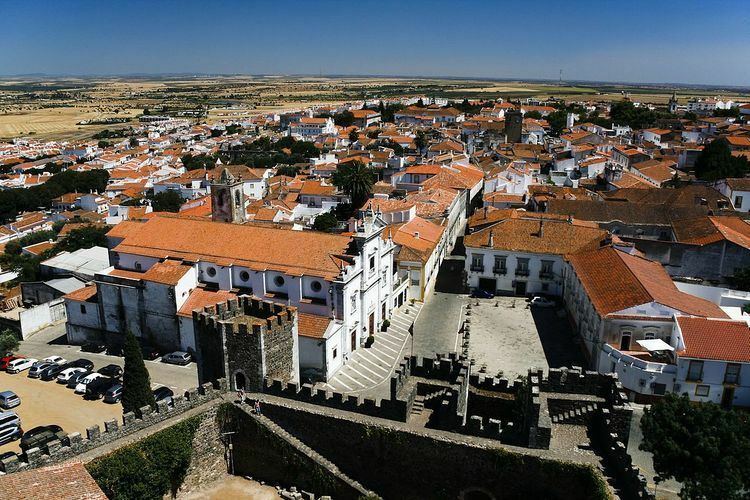 Situated on a 277 metres (909 ft) hill, commanding a strategic position over the vast plains of the Baixo Alentejo, Beja was already an important place in antiquity. Already inhabited in Celtic times, the town was later named Pax Julia by Julius Caesar in 48 BCE, when he made peace with the Lusitanians. He raised the town to be the capital of the southernmost province of Lusitania (Santarém and Braga were the other capitals of the conventi). During the reign of emperor Augustus the thriving town became Pax Augusta. It was already then a strategic road junction. When the Visigoths took over the region, the town, then called Paca, became the seat of a bishopric. Saint Aprígio (died in 530) became the first Visigothic bishop of Paca. The town fell to the invading Umayyad army in 713. Thus Paca, through Arabic Baja, became Beja. Starting in 910 there were successive attempts of conquest and reconquest by the Christian kings. With the collapse of the Umayyad Caliphate of Córdoba in 1031, Beja became a taifa, an independent Muslim-ruled principality. In 1144 the governor of Beja (Arabic: باجة الزيت‎‎), Sidray ibn Wazir, helped the rebellion of the Muridun (disciples) led by Abul-Qasim Ahmad ibn al-Husayn al-Quasi in the Algarve against power of Seville. In 1150 the town was captured by an army of the Almohads, who annexed it to their North African empire. It was retaken in 1162 by Fernão Gonçalves, leading the army of the Portuguese king Afonso I. In 1175 Beja was recaptured again by the Almohads. It stayed under Muslim rule till 1234 when king Sancho II finally recaptured the town from the Moors. All these wars depopulated the town and gradually reduced it to rubble. Only with Manuel I in 1521 did Beja again reach the status of city. It was attacked and occupied by the Portuguese and the Spanish armies during the Portuguese Restoration War (1640–1667). 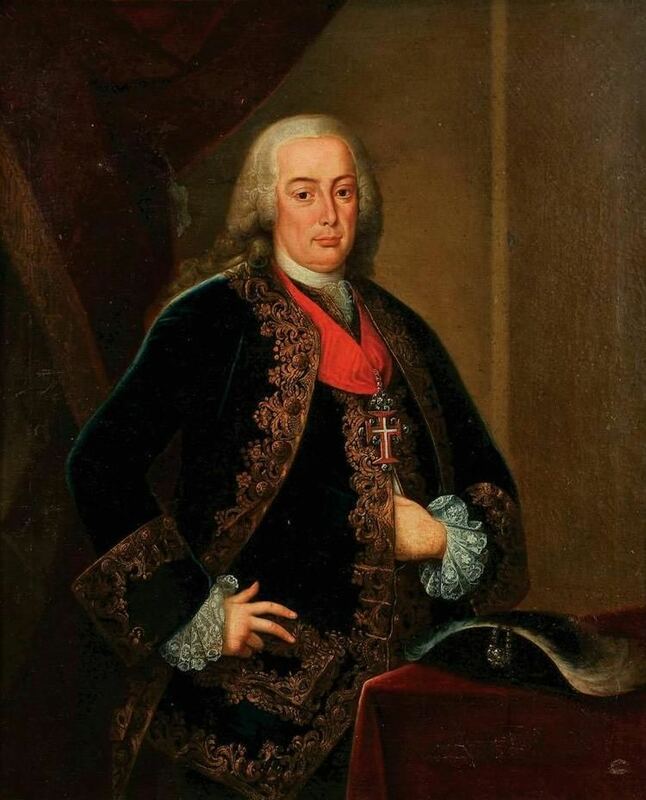 Beja became again the head of a bishopric in 1770, more than a thousand years after the fall of the Visigothic city. In 1808 Napoleonic troops under General Junot sacked the city and massacred the inhabitants. The climate in Beja (the hottest district capital city in Portugal) is influenced by its distance from the coast. Although mild by European standards, Beja has relatively cool winters compared to coastal Portugal, while summers are long and hot. The high in January is around 14 °C (57 °F) while the July and August highs are around 33 °C (91 °F). Snow is not common but it can fall occasionally. The January low is 5 °C (41 °F) and in July and August is 16 °C (61 °F). The annual mean is around 17 °C (63 °F). The average total rainfall in a year is 558 mm. 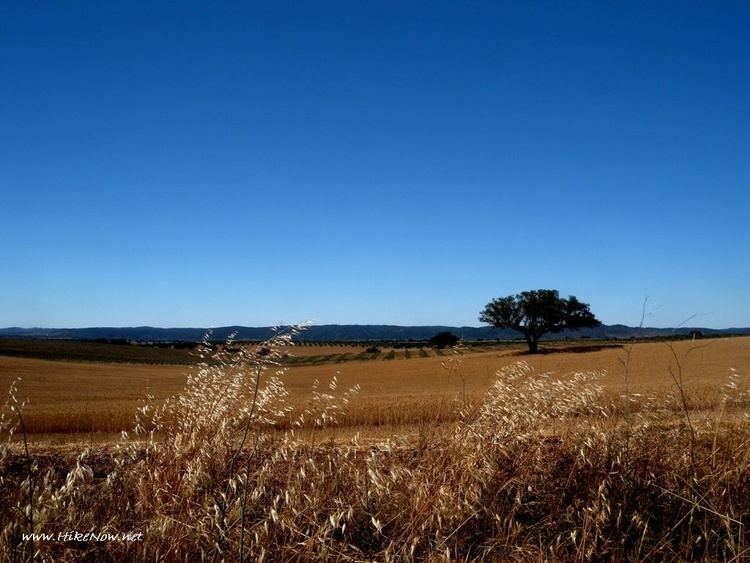 The year 2005 was particularly dry in Portugal and Beja suffered devastating forest fires in the surrounding rural areas. The castle on top of the hill can be seen from afar and dominates the town. It was built, together with the town walls, under the reign of King Diniz in the 13th century over the remains of a Roman castellum that had been fortified by the Moors. It consists of battlement walls with four square corner towers and a central granite and marble keep (Torre de Menagem), with its height of 40 m the highest in Portugal. The top of the keep can be accessed via a spiral staircase with 197 steps, passing three stellar-vaulted rooms with Gothic windows. The merlons of the machicolation around the keep are topped with small pyramids. Standing on the battlements, one has a sensational panorama of the surrounding landscape. One can also glimpse the remains of the city walls that once had forty turrets and five gates. The castle now houses a small military museum. The square in front of the castle is named after Gonçalo Mendes da Maia or O Lidador, a brave knight killed in the battle against the Moors in 1170. The whitewashed Latin-Visigothic church of Santo Amaro, dedicated to Saint Amaro, standing next to the castle, is one of just four pre-Romanesque churches left in Portugal. Some parts date from the 6th century and the interior columns and capitals are carved with foliages and geometric designs from the 7th century. Especially the column with birds attacking a snake is of particular note. It houses today a small archaeological museum with Visigothic art. This regional museum was set up in 1927 and 1928 in the former Convent of Our Lady of the Conception (Convento de Nossa Senhora da Conceição) of the Order of Poor Ladies (dissolved in 1834), gradually expanding its collection. This Franciscan convent had been established in 1459 by Infante Fernando, Duke of Viseu and duke of Beja, next to his ducal palace. The construction continued until 1509. It is an impressive building with a late-Gothic lattice-worked architrave running along the building. This elegant architrave resembles somewhat the architrave of the Monastery of Batalha, even if there are some early-Manueline influences. Above the entrance porch on the western façade one can see the ajimez window (a mullioned window in Manueline and Moorish style) in the room of the abbess, originating from the demolished palace of the dukes of Beja. The entrance door is embedded under an ogee arch. A square bell-tower and a spire with crockets tower above the complex. The convent has been classified as a national monument. The entrance hall leads to the sumptuously gilded Baroque chapel, consisting of a single nave under a semi-circular vault. Three altars (one of the 17th century, dedicated to St. John the Evangelist, and two of the 18th century, dedicated to St. Christopher and St. Bento) are decorated with gilded woodwork (talha dourada). The fourth altar, dedicated to St. John the Baptist, was decorated with Florentine mosaics by José Ramalho in 1695. The refectory and the claustro are decorated with exquisite azulejos, some dating from Moorish times, others from the 16th to the 18th centuries. One enters the chapter house through a Manueline portal from the quadra of St. John the Evangelist. The ribbed vault of this square room was distempered during the renovations of 1727. The walls are covered with Arab-Hispanic azulejos with geometric and vegetal designs that are among the most important ceramic decorations in Portugal. Above the azulejos are some semicircular distempered paintings with religious themes: St. John the Baptist, St. John the Evangelist, St. Christopher, St. Clare and St. Francis of Assisi. Portuguese paintings: Ecce Homo (15th century), "St. Vincent by Vicente Gil and Manuel Vicente (16th century), "Virgin with the Rose" by Francisco Campos (16th century), "Mass of St. Gregory" probably by Gregório Lopes (16th century), "Annunciation" (16th century) and four paintings by António Nogueira (16th century), "Last Supper" by Pedro Alexandrino (17th century). The museum houses also the funeral monuments in late-Gothic style of the first abbess D. Uganda and of the Infante Fernando, Duke of Viseu and his wife Beatriz of Portugal. The archaeological collection of Fernando Nunes Ribeiro, donated to museum in 1987 after forty years of archaeological research, is on display on the upper floors: Visigothic and Roman artefacts, gravestones from the Bronze Age with antique writings of the Iberians and steles from the Iron Age. Among the several other artefacts in its collection, the museum possesses the Escudela de Pero de Faria, a unique piece of Chinese porcelain from 1541. Mariana Alcoforado (Santa Maria da Feira, Beja, 22 April 1640 – Beja, 28 July 1723), 17th century Portuguese nun who, purportedly, wrote the Letters of a Portuguese Nun (comprising five letters), that detailed her affair with French officer Noël Bouton (Marquis de Chamilly and, later, Marshal of France). In the story, the nun glimpsed the young officer only once from her window in 1641, while he was campaigning against the Spanish army in the Alentejo. She fell in love at once and wrote him five passionate letters. Although the Portuguese letters disappeared, they were "translated" into French and published in Brussels in 1669 (and later into several languages). The lyrical composition is full of absolute passion, hope, pleas and despair and were an instant literary success, resulting in the popularity of this style (coining the term portugaise becoming synonymous for "passionate love letter"). Gonçalo Mendes da Maia O Lidador (Maia, 1079 – Alentejo, 1170), Portuguese knight in the service of Afonso Henriques, responsible for border defense in the region of Beja.